“At the time it was only through necessity and for our own music, but I had the idea in the back of my mind that it would be nice to create more of a working record label. 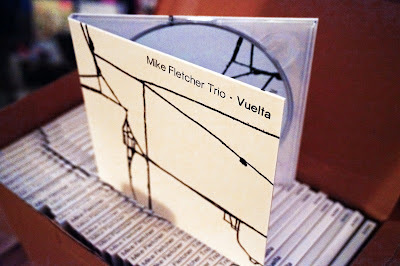 The label’s first high profile release in January this year was Vuelta, by the Mike Fletcher Trio - Mike on C melody saxophone, Olie Brice on double bass and Jeff Williams on drums - and the CD has received positive reviews. 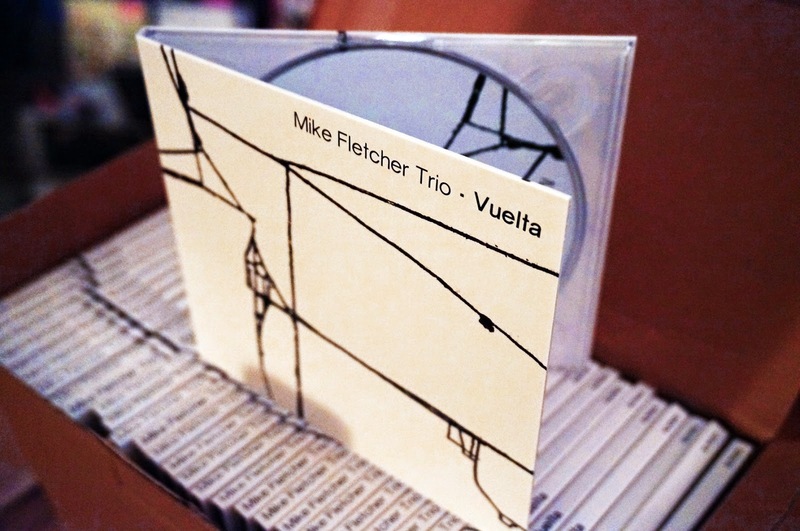 Jazzwise magazine referred to its “richly melodic originals” and called it “a real treat”. The trio, which plays Fletcher’s contemporary compositions leaving plenty of room for three-way improv, is nearing the end of a series of concerts in halls around Europe following Fletcher’s year as a European Concert Halls Organisation (ECHO) Rising Star. TG Collective started out as Trio Gitano, a three-way acoustic guitar gypsy jazz group, but with the addition of double bass, flute, percussion, cello, violin and occasional trumpet a name change was in order and the band’s repertoire has expanded to incorporate flamenco and contemporary influences. Their 2012 album Release The Penguins was called “a Gypsy jazz delight” but fRoots magazine. The band has built a strong following by extensive live performances, from village halls around the U.K. to a tour of the Balkans in 2013. Stoney Lane takes its name from a former West Bromwich Albion ground - Sam is a stalwart Baggies fan - and Birmingham-based musicians who will lead future releases on the label include bassist Chris Mapp, saxophonist Lluis Mather, pianist Mark Pringle and trumpeter Percy Pursglove.